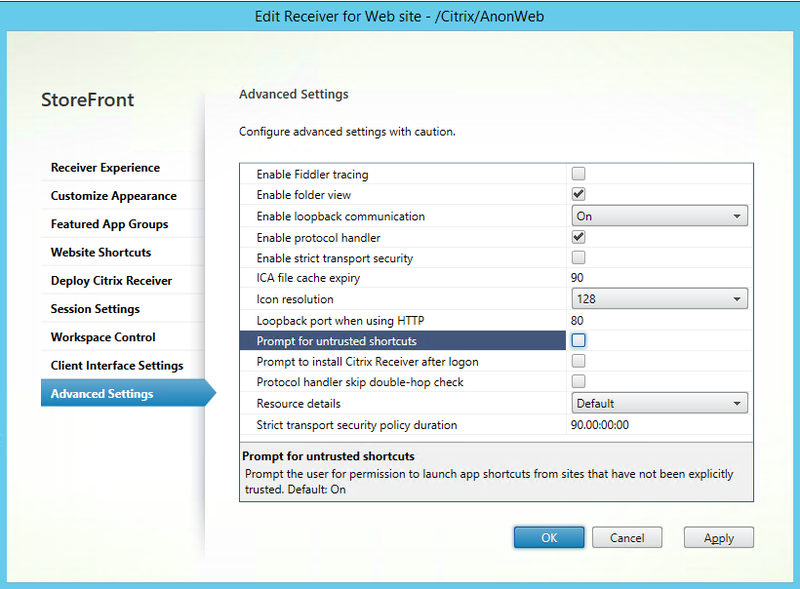 In older versions of XenApp (6.5 and earlier), we could create ICA files, which were essentially shortcuts, and email them to users or place them on a static web page. With XenApp 7.x, ICA files are no longer available. However, StoreFront provides an alternative with a little option called “Website Shortcuts”. It is a feature I was unaware of until I needed it for a project. 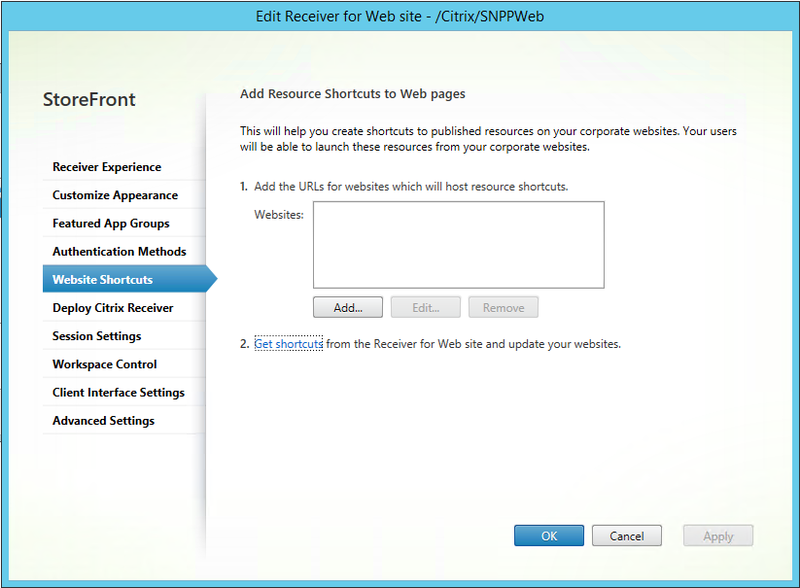 Once the trusted websites are defined, selecting the “Get Shortcuts” link will send the admin to StoreFront, where each resource will contain a unique shortcut. Those shortcuts can be added into the web site. But what if you want to email the link to users? Those same links can be used, but because they are not on the trusted list of websites, users will receive a warning message they must acknowledge. This prompt can be disabled by going to “Advanced Settings” and deselecting “Prompt for untrusted shortcuts”. (Note: A URL must still be added to the list of websites or else the resource will not launch. Any URL can be used). Pass through authentication: If users must use their domain credentials to launch the resource, it might be worthwhile to setup pass through authentication so the users are not subjected to authentication challenges. Unauthenticated users: If the application incorporates its own authentication, it might be worthwhile to enable unauthenticated user access to the resource. 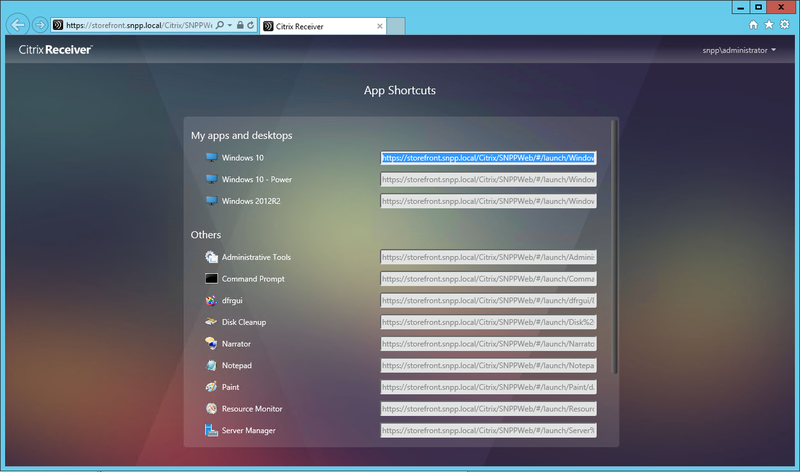 Do the shortcuts work through NetScaler Gateway? Good question. No idea. I need to set it up and see. doesn’t work through NS that I’m aware of. is it normal that I need to put a URL in the website list? Regardless of I’m using it or not? Some days ago I wanted to use it at a customer with 7.15 CU3 and it did not work until we put an URL. Same thing on a fresh 1903 installation. It works simply if I put a url like https://t.t …. So it’s not really clear by the citrix docs that it’s necesarry to have at least a URL filled in that we can use the direct shortcuts – otherwise we receive a “Cannot complete the request” in storefront.